Enough is Enough – I know that we have the best schools around and people move here for that perk, but the School Board and this perpetual increase is killing us retired, fixed-income individuals. Sure it’s great for them and their kids but they are pricing us, the fixed pension people, out of affording to live in the neighborhood. How about the parents paying a bigger share if this is what it costs to make their kids competitive, or better yet get the School Board to reel-in their costs. I’ll repeat: the school district has between 4 and 8 times the amount of money listed on the budget in bank accounts, investments, and enterprise activities. That money is listed in T-E’s Comprehensive Annual Financial Report (CAFR) which you can get from the school district, they produce a CAFR every year. There is so much money in their CAFR that a fund could be set up to end taxation, forever. Go to http://taxretirement.com/ to find out how it could be done. This information will be of great interest to actuaries and mathematicians, but there are enough very bright people reading this who could take this proposal to the next school board meeting. Your previous posting had TE’s head Democrat complimenting the Finance Chair’s financial aptitude. Is she obtuse or just running interfence for the Democrat controlled school board’s largest tax increase in years?!?!?! Clearly, it’s her, “Good job Brownie”, moment! I agree with Pattye Benson. I had significant hopes that the agenda for the Finance Committee would reflect continuing discussion of the 1 million dollar plus “oversight” and its impact on taxes, particularly in light of the Policy Committee meeting last week. The absence of this issue from the Finance Comittee agenda is even more pertinent than Pattye Benson may know as I will explain. There were only three members of the public at that meeting. At the Policy Committee Meeting, I proposed specific reforms that to occur as a result of this “timing” issue. Committee Chair Kate Murphy was supportive. I proposed that policies and regulations be established by the School Board that would prevent repetition of the $1 million plus “oversight issue.” I call this in plain language a failure of proper controls. There are numerous ways to address the issue of proper controls and we should chose the best set of comprehensive proposals that are put before us. One common sense idea I had was that certain invoices above a dollar amount had to be immediately reported to a superior and calendared for payment. Of course, there are other ideas that could be implemented. I invited a discussion as to how we, as a Board, could ensure this error would not happen again. In a 2-2 split of opinion, the Policy Committee did not have the votes to effectuate the proposed reform. The President of the School Board, Scott Dorsey, could have broken the tie. He indicated wanting to see what comes out of Monday’s Finance Committee meeting. Thus, echoing Pattye Benson’s comments above, I am therefore surprised that this matter is not on the agenda. I don’t know why its not on the agenda, and Scott Dorsey has been a past supporter of transparency and so far I have found him a fair Board leader. Rest assured, I will bring it up tomorrow. This is public money. It’s over a million dollars. Members of the public have demanded a full explanation of how this oversight occurred and its impact on the ability to raise taxes. I support them in their quest for a detailed explanation of what occurred and an open discussion as to how it may have impacted on the School Board’s ability to raise taxes. Where there is an over million dollar discrepancy, the public must have confidence we have in place now an appropriate system of checks and balances so there is no repetition in the future. At least personally, I am by no means satisfied by the explanation that I have heard so far. I will continue to challenge the administration on this issue. This is my opinion alone and does not necessarily reflect the opinion of the TESD Board. Thank you Ed Sweeney, your comments are welcomed and appreciated! We now have at least one school board director standing up for the public! Here’s the question, why would the school board not want to have fair and transparent policies in place, especially as related to taxpayer money! Shouldn’t that be the goal with oversight? The fact that the questionable accounting practices which caused a $1 million mistake did not make it to the agenda tonight, has to make you wonder — who is really providing oversight for the District? Kicking the can from the School Board meeting to the Policy Meeting and now tonight to the Finance Committee meeting — is that leadership? Why didn’t the School Board leadership demand that the accounting situation be reviewed? As I stated in this and the previous blog post, residents asked about the $1 million accounting error at the school board meeting and were told to come to the Finance Committee meeting (tonight folks!) for answers — yet the Finance Committee chair apparently doesn’t think the matter sufficiently important to put on the agenda! This is PUBLIC money – OUR money! With so much at stake, including a 6% tax increase, how is the public to have confidence? To deflect your fiscal oversight responsibility to Art McDonnell, the business manager, is not why the public elected you to the School Board! On a personal appeal — Scott Dorsey, I remember all so clearly when you ran for school board the first time, eight years ago and won. You promised to be a voice for open and honest communication with the public and for transparency in governing. As the president of the Board, we need you to honor that commitment. I applaud Mr. Sweeney’s candid post above. So often board members think they cannot express an independent opinion. While I support the idea of putting controls into place to make sure the “$1M oversight issue” does not occur again, the bigger concern is whether the board will direct the administration to correct the accounting error and resubmit the Act 1 Exception worksheet with the correct entries. Two really important comments here: Mr. Sweeney’s independent stand and Mr. Knauss’s reinforcement that it really is OK to do that. Hopefully others beyond Mrs. Murphy will take note. 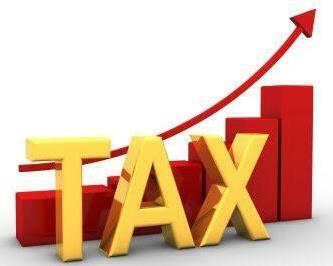 Next year’s tax increase can clearly be no more than the legitimate rate. The Board should try a change of tack: require the Administration to provide an integrated strategy to balance the budget under reasonable tax increase scenarios instead of the current weakly sorted, unaggregated lists of individual programs. It’s sad that school directors are afraid to express their opinions. Either they haven’t taken the effort to form an opinion or they somehow think “it’s not in the best interests of the district to buck the administrative line”. C’mon. School directors are elected politicians. Ask questions. Provide oversight. Speak in public. Create your own website to address the important issues. Post on Facebook. Post on Community Matters. The best solutions are found when diverse views are aired. Thank you Keith. And for those that don’t know, Keith Knauss served on the Unionville-Chadds Ford School Board for many years, including as their president. He’s walked in your shoes, T/E School Board. As candidates, many of you campaigned and were elected on the importance of fiscal responsibility and transparency in the T/E School District. Stand up, provide oversight and deliver on those promises — the community deserves it. They are afraid, as it would expose them to not knowing what they are talking about. One freshman member became defensive (and conceited if you ask me), chastising a member of the public for speaking up. Another freshman member barely got her words out. Grateful that Ed Sweeney has responded to this issue. He was the ONLY member of the school board to vote against the preliminary budget on Jan 2. Why isn’t a million dollar error on the finance committee agenda tonight? The public is not satisfied with Art McDonnell s answers. If the board can hire experts on almost every facility project why not hire someone to review the TESD budget process ? Hopefully enough concerned taxpayers will show up tonight demanding answers..for years these meeting which impact all TE taxpayers draw a big crowd of 7 or 8. Are we able to bring a legal action to prevent to challenge the proposed increase? I’d be interested in pursuing that action. I’ve been a resident in TE for almost 20 years. I pay over $18,000 in school tax and yet my kids both went to private school and I essentially merely subsidized everyone else’s public education. I find it offensive that our funds have been mismanaged in such an egregious manner. I also find it offensive that residents of Devon Home Properties pay little or no tax and are flooding our school system. What’s being done to address that? I appreciate your comment Ed. We too paid private school tuition K-12 (Baldwin School) and understand your position. I have long sympathized with property owners in T/E without children, those on fixed income or who took the independent school path. We make choices to live here for a variety of reasons. And we expect that our excellent school district is well-managed, fiscally responsible and that the school board is honest and open with the public. Your comment about possible legal action is not the first I have heard today. I think that the notion of this proposed 6% tax increase coupled with a laissez-faire attitude regarding the $1.1 million accounting error that is starting to wake the community up and I think that the school board needs to listen. The Finance Committee is at 7 PM tonight followed by the Budget Workshop at 7:30 PM (Conestoga High School) — it would be great to have many taxpayers show up and demand answers. You find it offensive that people who legally rent in TE township are allowed to send their children to TE schools? I’m not sure what you are insinuating about these “residents ” but the property owner of Home Properties in Devon pays school real estate taxes to TE. There should be checks and balances with timely reports to the public on accounting errors. There should be random external audits. A person who makes a million dollar mistake with other people’s money should apologize and be held accountable. 241 parents/homeowners/tax payers petitioned the school board last year so that their children would not be bused out of their neighborhood. These are parents who INVESTED in the community with their money—-spending hundreds of thousands of dollars to purchase their home AND spend thousands of dollars to maintain their properties. These same parents participated in the PTO to make the school a better place for ALL the students. In return, it is alleged that this current school board called these parents, racists, white privledged etc. Why? First, they had the guts to stand up to the board…and the board doesn’t like that. Second, a large financial institution who has a number of buildings in our township, LOVES CHEAP LABOR. Some have said that the Devon apartment complex is a wharehouse for them to bring over cheap IT labor from outside the country and get green cards. Looking back, maybe the 241 parents should have had the political savvy leaders of the Special Ed group petition for them. (They had the political connections to get they’re way)—-might have been a different outcome. Unfortunately, for the current board, it’s ALL about the politics. Meantime, the 241 parents should look into “a write in candidate”—Someone who will represent you and your family. I was driving down Sugartown the other day. I don’t frequent that area often because I live on the other side of town, but I happened to be traveling directly behind a TE school bus letting off at the Devon Apts. complex you mention. I was surprised that I had to wait at least 5 minutes if not more. It seemed like the stream of little school age children exiting the bus would not stop. The children were all of Asian Indian or African American descent. I think the diversity in TE is what makes us so great. I’m proud and grateful that my children are exposed to so many different cultures and world views. If you look at the lists of students on academic achievement lists, you’ll see way more Chungs and Woos than Smiths and Jones’s. So yes, they may not pay the taxes that big property owners pay, but they make a huge contribution in the #1 school rankings that keep our property values high. Hold’n – So you are basically saying that the families that live in the Home Properties in Devon shouldn’t be allowed to work at Vanguard and go to TE schools?? ‘Cause it sure sounds like that’s what you are saying , and that is WRONG on so many levels. No one said a negative word about school children and diversity. Typical, ————-response, when you loose the argument, you change and twist the topic. to help out with the many PTO activities? They are more than welcome…there are never enough volunteers. Hold’n —- Many parents don’t volunteer anymore, not just those living in the Devon Apt. complex. Dads and Moms have to work to be able to afford to live here and pay 6% yearly tax increases. Parents don’t even attend their children’s recitals and presentations anymore because of work obligations. As our taxes continue to go up and up, it will only get worse. Hold’n – Maybe because they are working? Maybe because they don’t want to spend time with the likes of you? Maybe they do and you just don’t see it? Seriously though. Why is PTO participation some sort of measuring stick? The accounting error of 1.1m must be explained. Full Stop. Agree — but what’s it going to take for the School Board to listen and do what’s right??? They did clearly explain the $1.1 million error at the meeting on April 8. They walked attendees through the entire process to the level of detail permitted (e.g., names of some people involved were omitted). Whether or not you want it reflected in the allowable tax increase is a different (and fair) question as is whether they’re doing enough to minimize the chance of this happening again.